Nationalism and populism dominate news headlines—often to the extent that many fear democracy is in trouble. How did this happen and why? 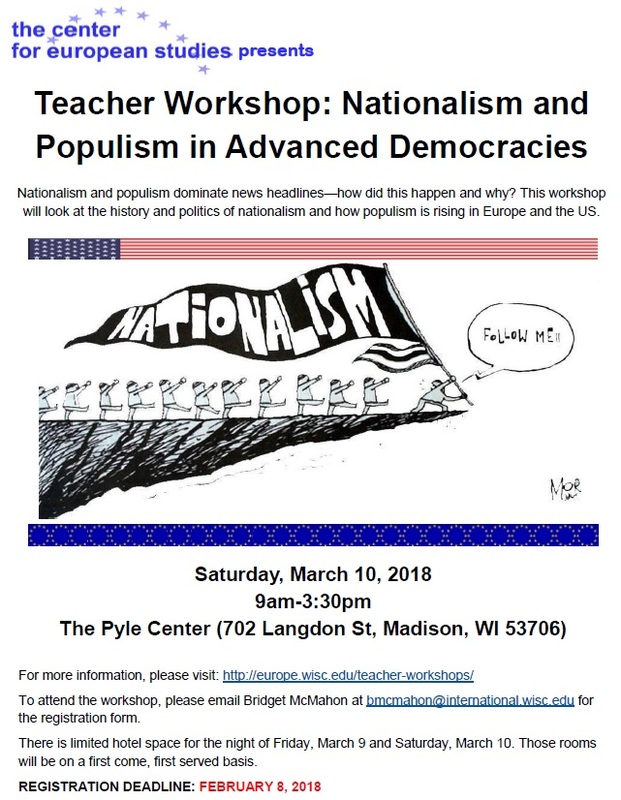 Faculty and staff in the Center of European Studies will convene a teachers’ workshop on nationalism and populism as resurgent trends in European and American politics. The workshop will look at the history and the politics of nationalism in the post-War and Cold War eras, and how populism is coming back into fashion in both Europe and the US since the Fall of the Berlin Wall (1989). We will examine the crises that led to a surge in nationalism (such as globalization and the refugee crisis) and how populist tactics from both the left and right ends of the political spectrum are hampering the day to day workings of political life (Germany, Spain, the US, the Netherlands). We will also look at the history of why certain countries and areas of Europe and the US are more susceptible to nationalist leanings than others.